Three reasons why Birthday Skydives are the best idea ever. We think the best day to go skydiving is any that ends in D-A-Y … but we’re kind of obsessed like that. Others like to wrap their skydiving experience up with a big bow of top-shelf badassery in celebration of something mega, most commonly a milestone birthday. 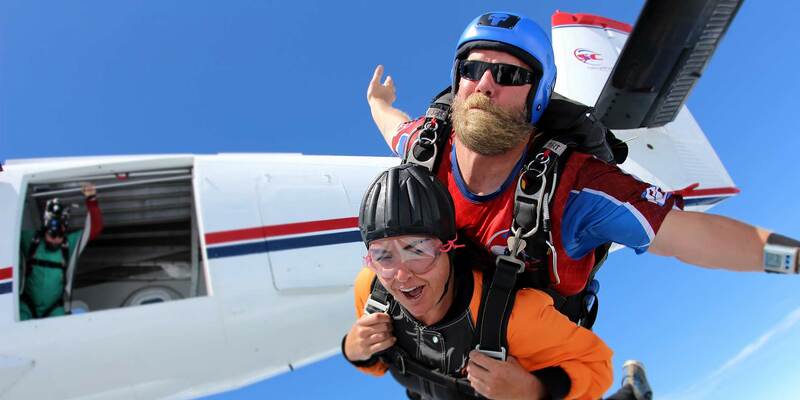 Whether you’ve got your sights set on 18 when you can make your first tandem or you’re crossing the threshold into a new decade, skydiving on your birthday is the most exciting, empowering and exhilarating way to spend your big day. 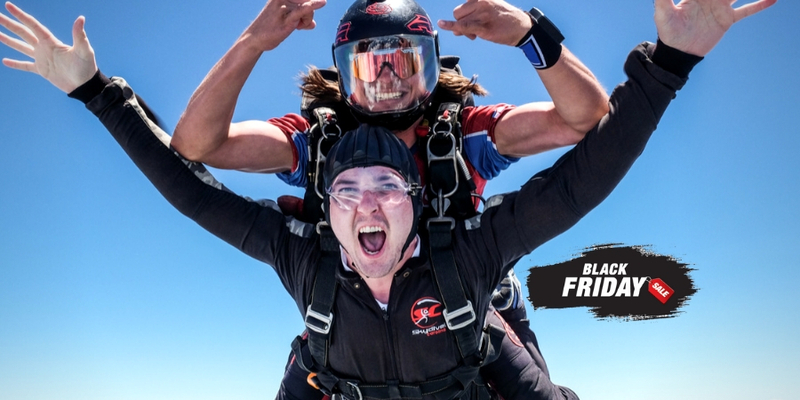 Tell your pals your birthday skydiving plan and you’re bound to gain at least one sky-high companion (check out our group rates if everyone’s down) and a whole posse who can’t wait to cheer you on from the ground. Oftentimes, people who are on the fence about making their first tandem need just a spritz of encouragement before they commit to finally doing the damn thing. Sharing a day in the sky with the people you love the most definitely falls in the gift-that-keeps-on-giving category. Celebrities and everyday people alike who go skydiving on their birthday make headlines because it’s a friggin’ amazing story. George H. W. Bush skydived on his 75th, 80th, 85th and 90th birthdays. This past Summer, Will Smith jumped to celebrate his 50th and Sean Diddy Combs jumped (separately) to mark his 49th. Even Diddy – who has the resources to do anything in the world – called his skydiving experience his “BEST BIRTHDAY EVER”. And every weekend, we make dreams come true for people who are celebrating their day in the sun. Whether it’s you we’ll soon be seeing as your ring in your personal new year or you’re an awesome friend/parent/significant other hunting for the perfect birthday gift, be sure to check out our gift certificate options. We can’t wait to celebrate with you. Blue skies! Book Your Birthday Skydive Today at Skydive Carolina!